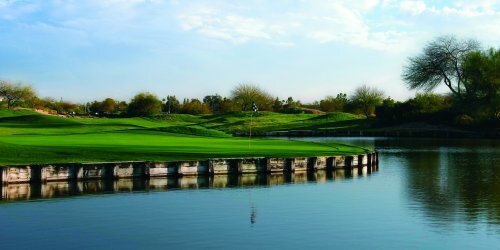 Home to one of the strongest collegiate golf programs in the country, the ASU Karsten Golf Course is a classic Pete Dye, links-style course set in the shadows of ASU's Sun Devil Stadium. Awarded 4 1/2 stars by the prestigious Golf Digest Rating Panel, this well maintained and challenging design features Dye's signature mounding and creative bunkering - making proper club selection essential for low scoring. Top PGA and LPGA TOUR professionals such as Phil Mickelson, Billy Mayfair, Grace Park and Anna Nordqvist have all sharpened their skills at this premier facility. Inquire about a custom stay and play package. ASU Karsten Golf Course reserves the right to change price and offer at anytime. Prices and offer are subject to change without notice. ArizonaGolfer.com is not responsible for errors posted in this golf package.